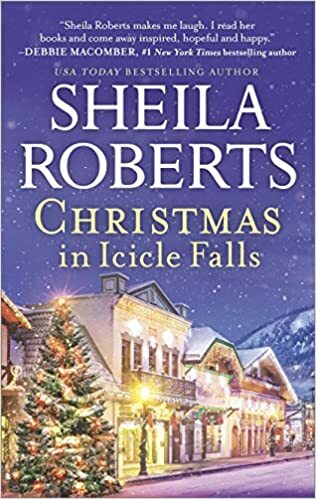 Today, I am spotlighting the new cozy romance Christmas in Icicle Falls by Sheila Roberts as part of her blog tour! 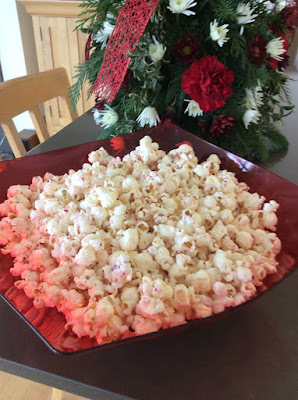 I also have a book excerpt and Sheila has graciously provided us with a recipe for her favorite Christmas treat, which you can enjoy while reading the book this holiday season! If you read my review on her last book, Starting Over on Blackberry Lane, then you know how much I loved this sweet series and visiting this captivating community. But, unfortunately, this is the last book in Icicle Falls; however, I'm sure there will be another great group of people to get to know in a new cozy place very soon! If you're looking for something yummy to enjoy while you watch your favorite holiday movie, try this Peppermint Popcorn. It's a favorite with my family and friends! After you've popped your popcorn, pour it into a large bowl. Melt the candy melts according to package instructions and then pour over the popcorn and mix. Add the crushed peppermint and mix then pour onto a large cookie sheet to harden. After the chocolate has hardened break into pieces and store. I hope that you enjoyed today's spotlight! Many thanks to Pump Up Your Book and Sheila Roberts! It was a pleasure to be a part of the tour!